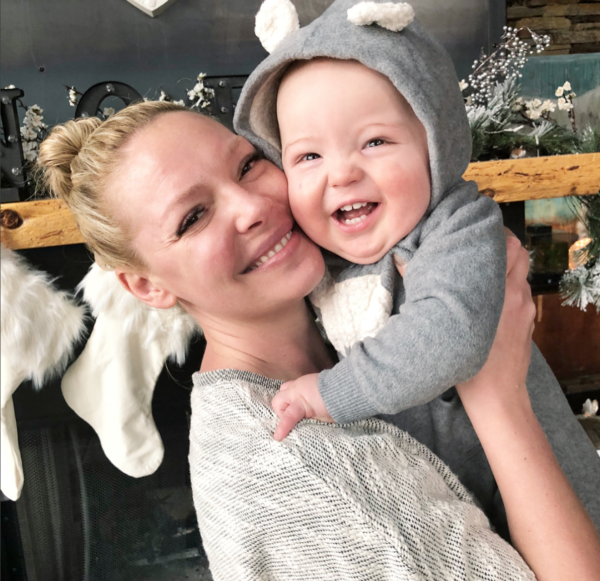 On her son Joshua Jnr’s first birthday, actor Katherine Heigl shared a whole bunch of photos – and a little more of her birth story. 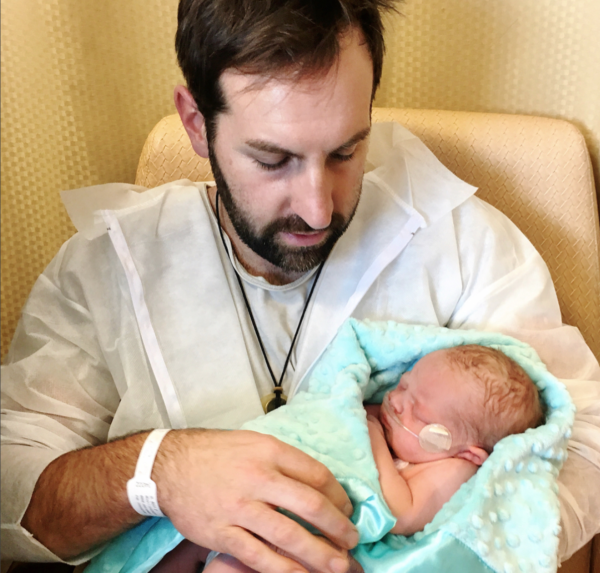 Katherine and Josh Kelley are also parents of eight-year-old Naleigh and five-year-old Adelaide, with little Josh rounding things out to a family of five. 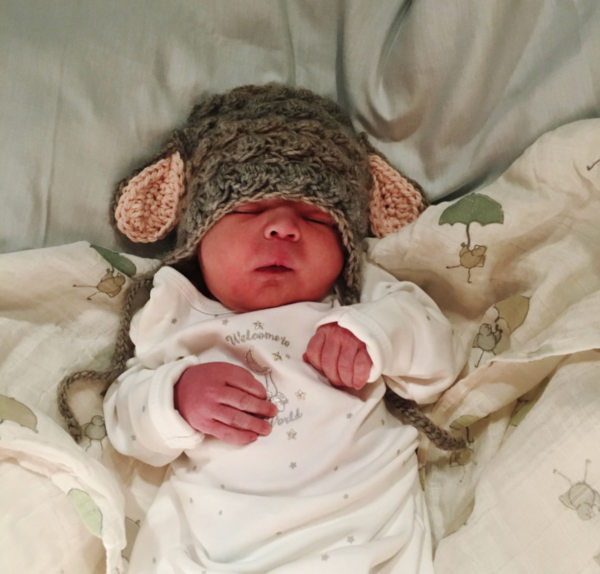 On Josh Jnr’s birthday, Katherine shared lots of gorgeous photos and explained the rollercoaster ride that was the little boy’s birth. 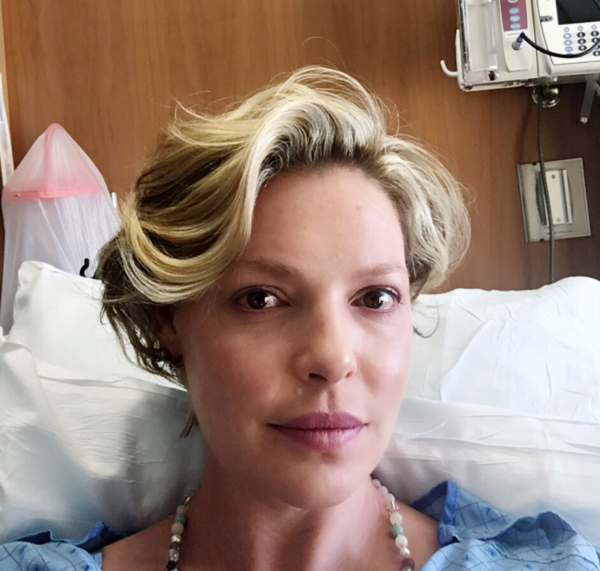 “I had @joshbkelley take this photo of me so I could remember how incredibly pregnant I was right before we left for the hospital and my 12pm scheduled caesarean. 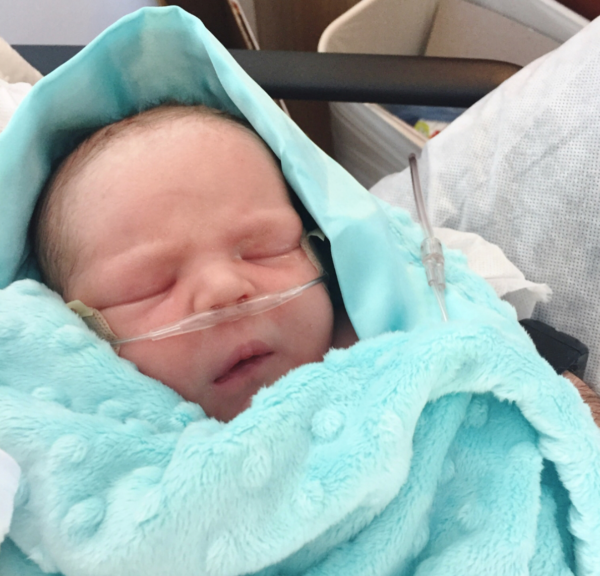 Joshua Jr had been in the breech position for over a month and had still not moved an inch a week before his due date so I made the decision to have a caesarean and was incredibly nervous and a little scared this time last year,” Katherine explained. 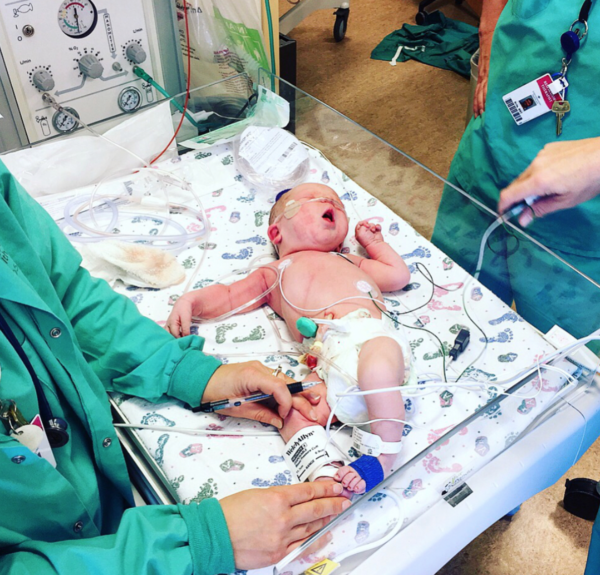 Katherine described the c-section delivery and the birthing team’s speedy efficiency, as they worked to get her baby breathing and into her arms. “They numbed me up, gave me some morphine and opened me up. 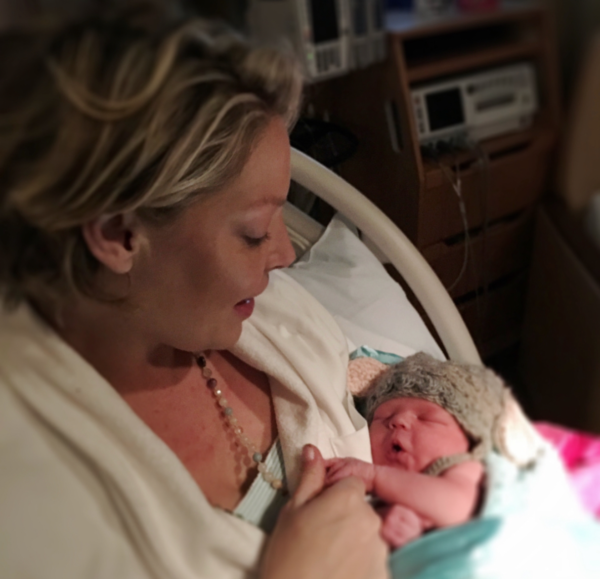 My doctor struggled to get him out because he was really wedged in there and not quite ready to leave the womb,” she wrote. Although it wasn’t her first rodeo, Katherine said the third time was indeed a charm and she was thoroughly besotted. 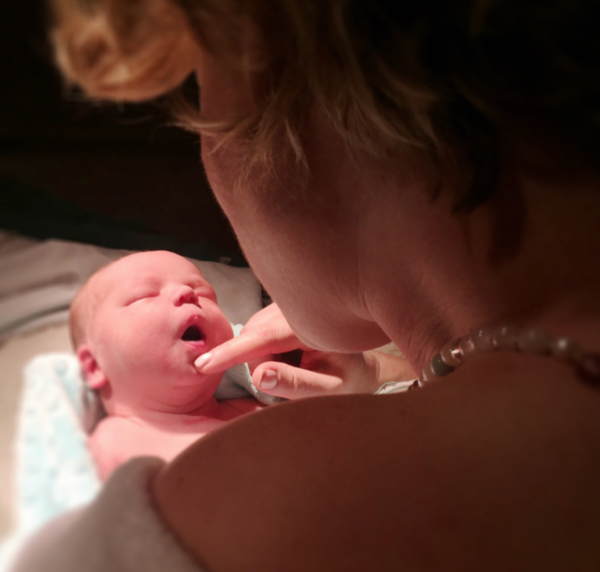 “As I slowly came out of the morphine haze and clutched my tiny man to me I thanked the heavens for his breath, his life and for making me a mother three times over,” she remembers. Now a full 12 months down the track, this mum-of-three says she can hardly believe it’s the same little boy she’s wishing a Happy Birthday to. 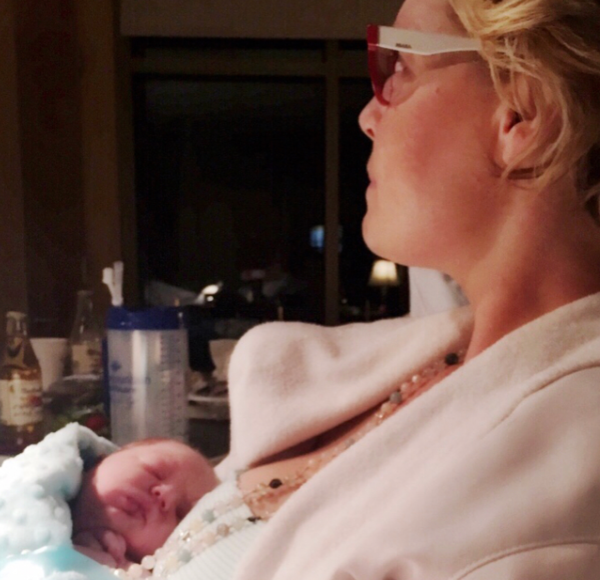 “Here we are, a whole year later and it’s only the photos that remind me my brute of a boy was ever so new and small! Now he’s 26 ponds of rolling, tumbling, grasping, giggling, shouting, curious, jolly energy! He is everything and more than I could have hoped for and he has brought our family even more joy, love, laughter, abundance, bliss and yes, exhaustion and exasperation too! It’s been a hell of a year and I could not be more grateful for it or him!” the mum-of-three says. Naw. Happy Birthday indeed, Josh Jnr!